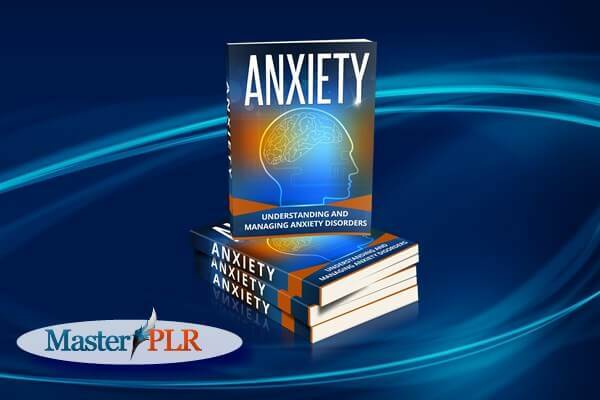 Anxiety and panic attacks is a big mental health problem in the world today and our private label rights mega package is full of quality information for you to use to help those people suffering from an anxiety disorder. 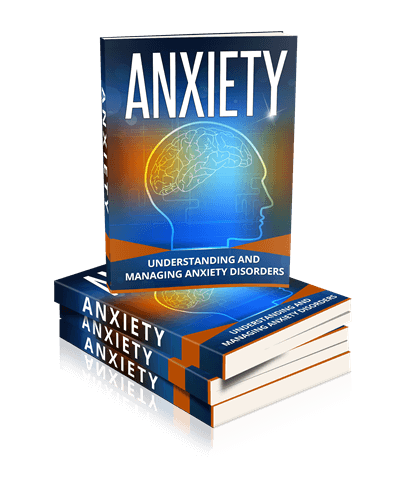 The anxiety package covers many types of anxiety disorders including panic disorders, social anxiety disorder, generalized anxiety disorder, obsessive compulsive disorder, PTSD and more. You will have a private label rights license for articles, ebook and professional cover graphics, full-size infographics and bonus tweets. If you are in the anxiety or mental health niches this package is perfect for you to be able to provide well-researched information. Our content isn’t filled with excessive keywords and fluff! The content is of the highest quality and you won’t be disappointed! How diet is important to reduce anxiety. Why exercise is required to boost your ‘feel-good’ hormones. Different treatment methods, including systematic desensitization, reflexology and cognitive behavioral therapy. 20 Tweets ready to use to promote your articles, just place your website link and tweet! Report ecover graphics, plus PSD file. You can purchase the whole package for only $34! Here is the list of articles you will find in your mega package and as you will see, they are not your average length PLR article! You will receive them in a text file and a Word document. Check the word count and as we said, they are NOT filled with fluff! They are filled with valuable, researched information. We have also provided 20 tweets that you can use to promote the articles in this pack. You can publish the articles on your website and then tweet to your followers. All tweets correspond to an article in the pack, so upload your articles and tweet when you are ready to promote. 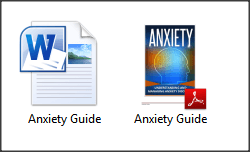 The anxiety guide is ready to go! It is already formatted as a PDF and is ready for you to use. It contains 15 pages and isn’t padded out with photos. It includes the ebook cover and 2,604 words. We’ve also written the disclaimer for you. You can start using it as soon as you download the package. You don’t have to wait and spend a few hours or days editing or formatting. It is completely ready to go. The word doc can be easily edited so you can add your website URL, click save and you are done! If you prefer a full-length ebook simply add more articles from the pack! This infographic isn’t just your average PLR graphic. You will receive the image in a JPG and PNG file. This mega pack is exceptional value for money. If you were to have an infographic like this created it would cost you far more than this whole package put together! Infographics like this can cost hundreds of dollars to have created. Plus look at the dimensions! 800px width x 3,560px! This is not a little social media graphic…this is a FULL-SIZED professional infographic you would expect to see on one of the top authority anxiety websites. Now you can place one on your own website and be seen as an expert or an authority on anxiety too. Your visitors will definitely want to share this graphic to their favorite social media sites. Your website may even go viral and we know how effective that can be in your marketing efforts! You are only limited by your imagination…but if your imagination fails, we are here to help you!